I was at a Tridentine Mass and the priest was vesting in the sanctuary. 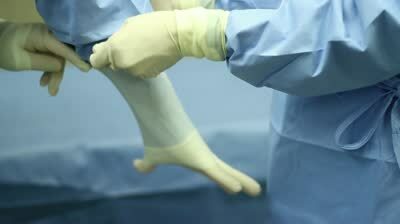 Altar men in full cassock and surplice were assisting the priest, like how nurses assist a surgeon before the operation, like how technicians assist an astronaut before launch, like how safety personnel assist engineers into haz-mat suits before a mission. Yes, it was complicated, those Extraordinary Form chasubles of antiquity. 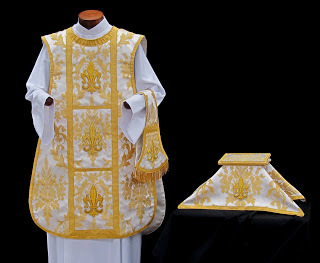 But as I watched the priest vest in chasuble and maniple, my imagination took off (as you can see) and my mind stopped when I saw the symbolism. And when I saw it, I could never unsee it. Permanent and powerful. The chasuble was a giant apron, not unlike the kind that a dentist buries you under before they take X-rays of your jaws and teeth. 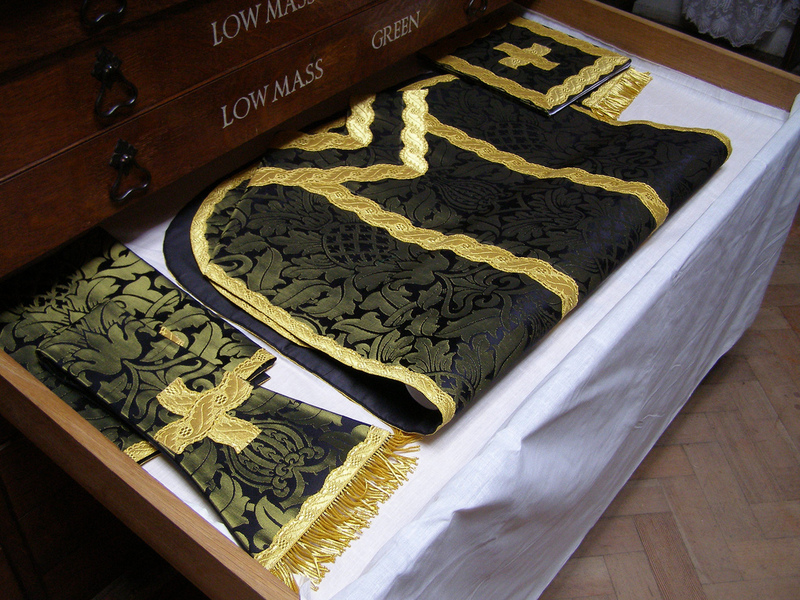 The chasuble is thick, heavy and dense, and looks almost stab-proof. Now why would the Church vest her priests in these bulletproof vests… err, aprons? Because there will be blood. Because there will be BLOOD! It’s going to get messy at Mass. It’s a sacrifice… the Lamb will be slain, the priest will fill a chalice with its precious blood, the priest will feed us with fresh flesh from the Lamb. So of course a chasuble is necessary! Because there will be sweat. Because there will be tears shed. So of course a maniple is necessary! Because love is hard work, because love involves tears, sweat and blood from the lover and from the beloved. And love is the only thing worth it all. 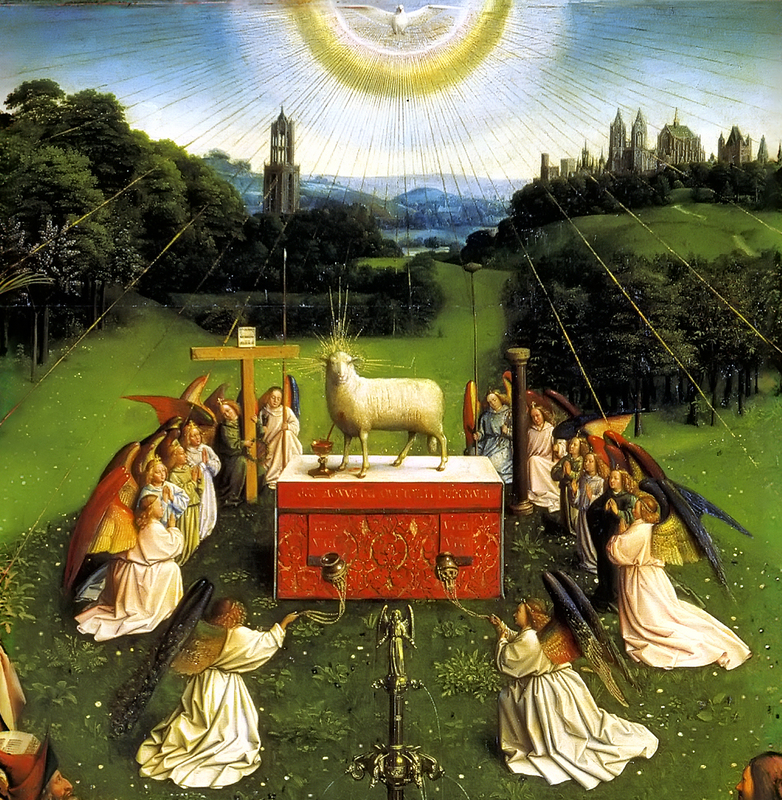 This entry was posted in Seminary Experience, Traditional Latin Mass and tagged Lamb of God, Liturgical Vestments, Sacrifice of the Mass, Tridentine Liturgy, Worship. Bookmark the permalink.